On March 12, 2018, the Grand Lodge lost a conscientious and dedicated pillar of our beloved Craft. 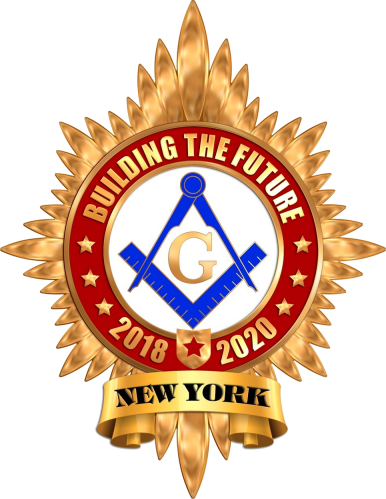 After a long battle with cancer, Right Worshipful Paul M. Rosen, Grand Secretary, laid down the working tools of a Mason to return home to the Celestial Lodge above. RW Brother Paul M. Rosen was Raised to the Sublime Degree of Master Mason in Fraternity-Dunderberg Lodge No. 942, of Peekskill, NY, on April 21, 1992. He served as the Worshipful Master from 1998 to 1999 and 2001 to 2002. R.W. 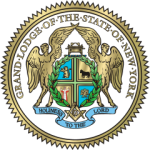 Rosen served as the District Deputy Grand Master of the First Westchester-Putnam District from 2006 to 2008. He also was elected Trustee of the Masonic Hall & Home from 2008 to 2014. He was also appointed the Grand Representative of the Grand Lodge of Israel near the Grand Lodge of New York from 2014 until his passing this year. Lastly, he proudly served as the Grand Secretary of this Grand Lodge from 2014 until his demise. In summation, R.W. Brother Paul M. Rosen lived Masonry as a way of life, filled with devotion to God, his Country, his Community, his Family, and his Fraternity. May he rest in eternal peace. Amen. By receipt of this notice, I direct that the Altars of every Lodge be draped in Black for a period of thirty days in Memory of our departed Grand Secretary and Brother. In the interim to fill this vacancy in the office of Grand Secretary, I have this day appointed the Assistant Grand Secretary and General Manager, Right Worshipful Richard W. Bateman, as the Acting Grand Secretary.